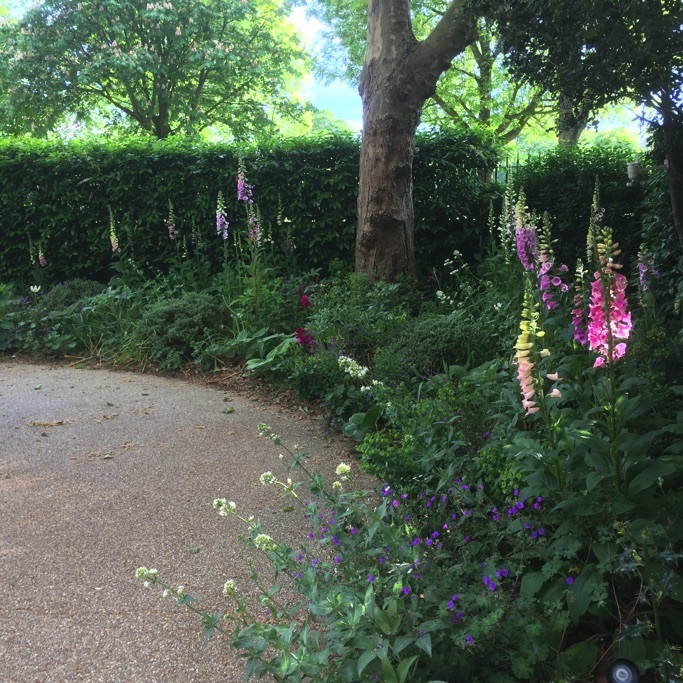 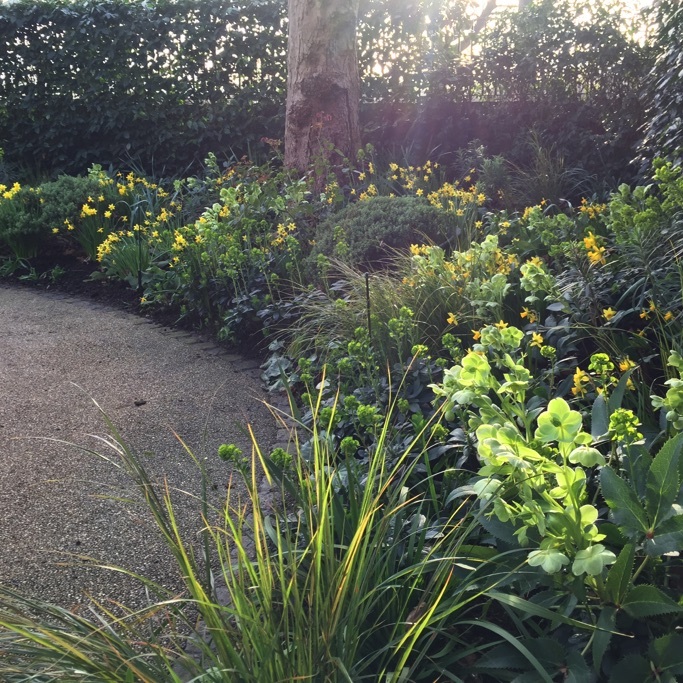 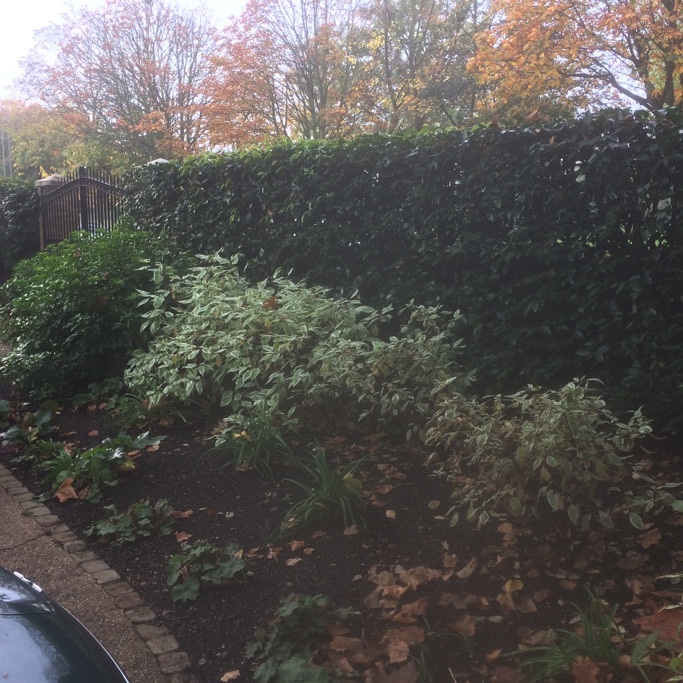 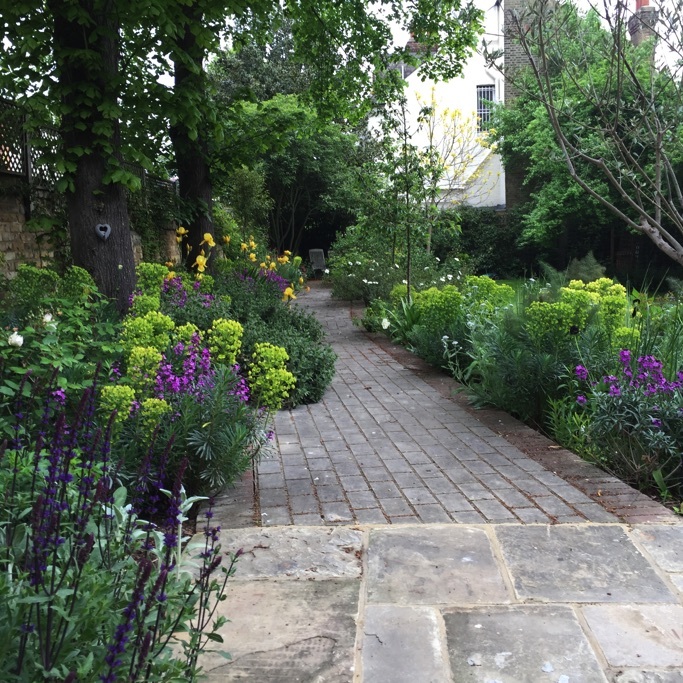 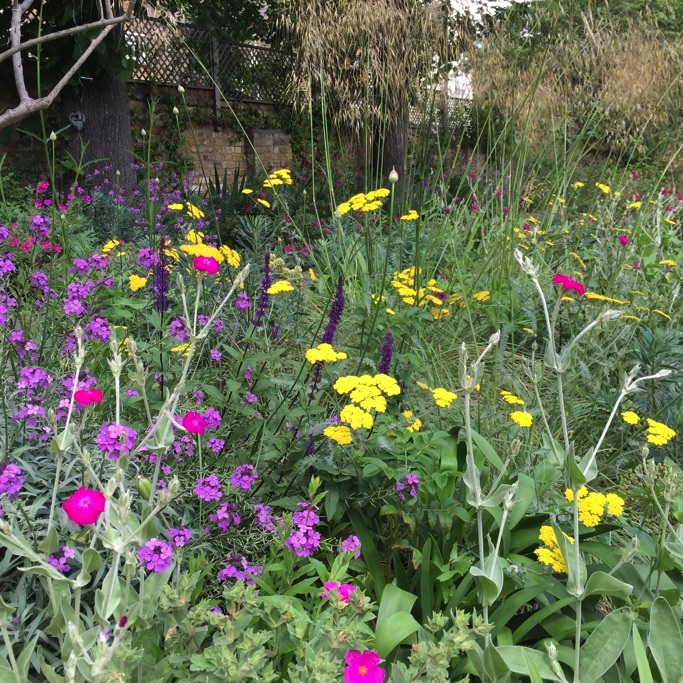 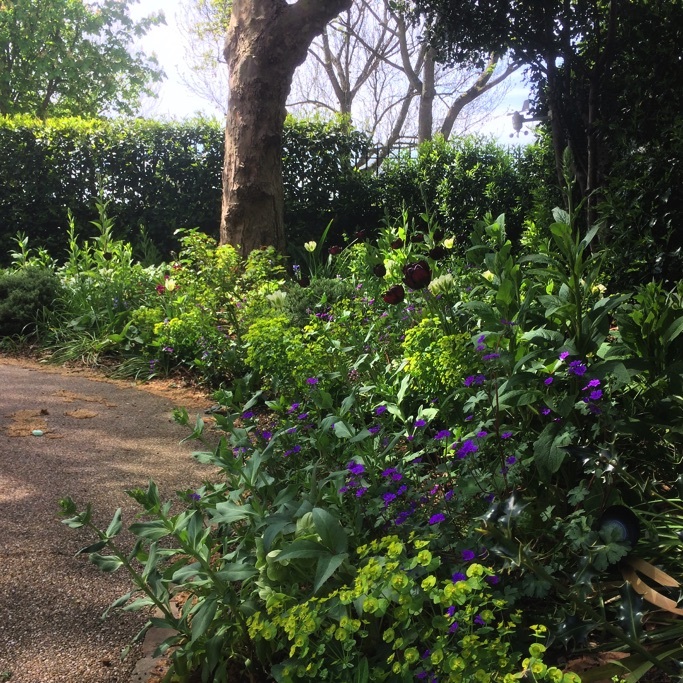 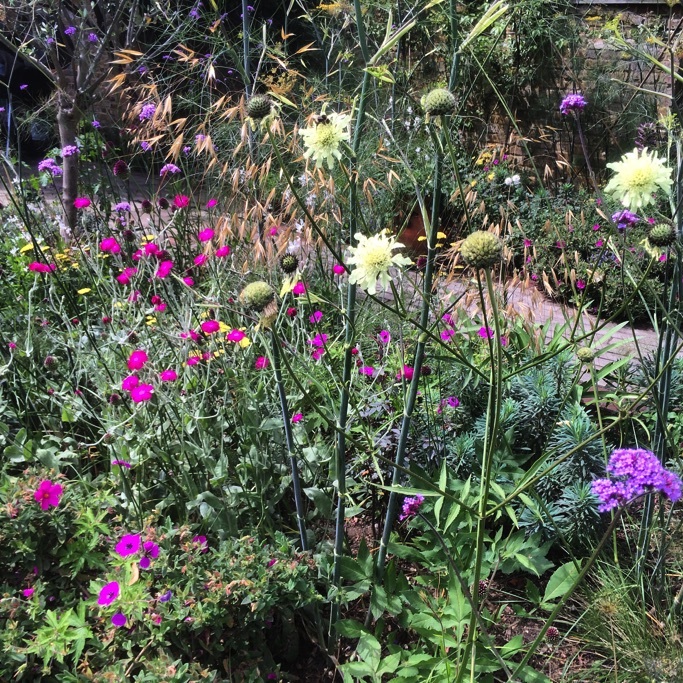 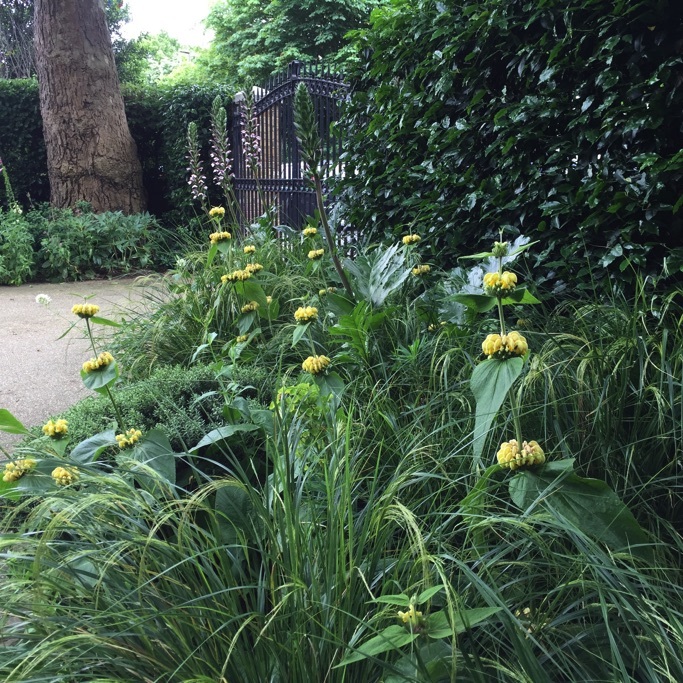 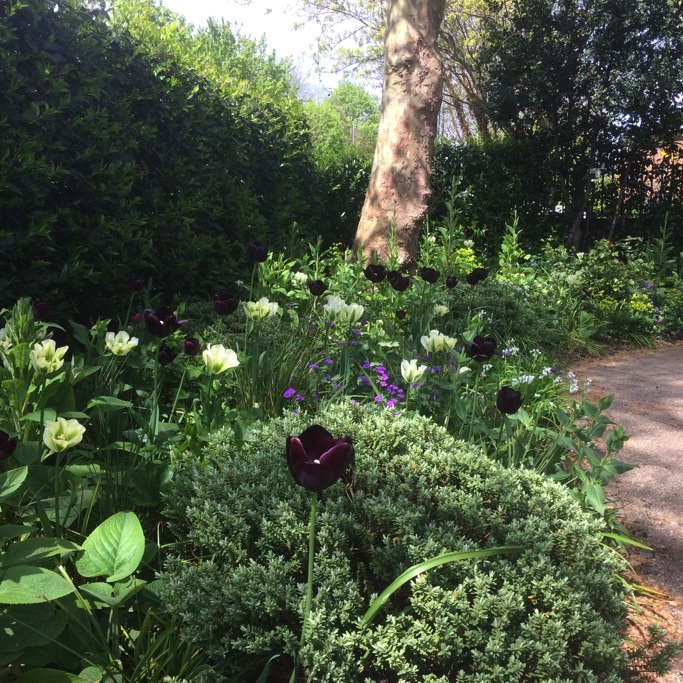 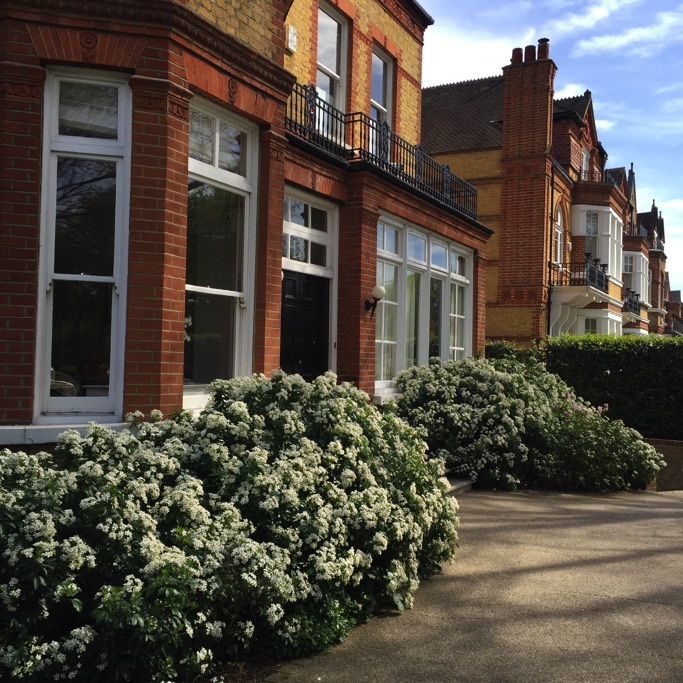 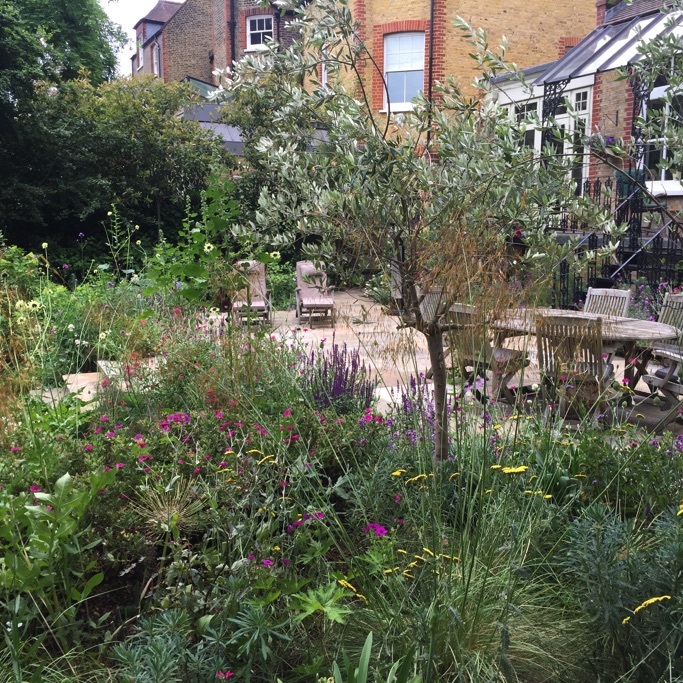 The front garden planting was like a supermarket carpark when we first started work in July 2015, with very sad shrubs and lot’s of bare soil. 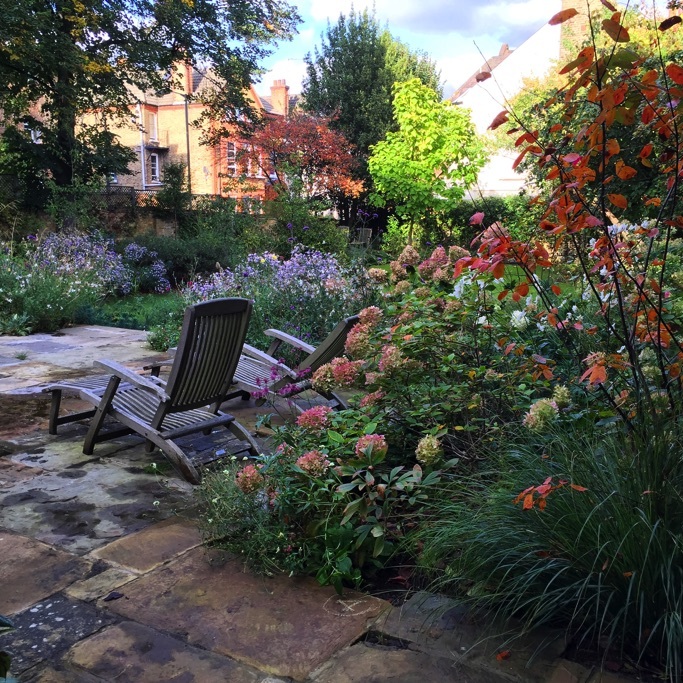 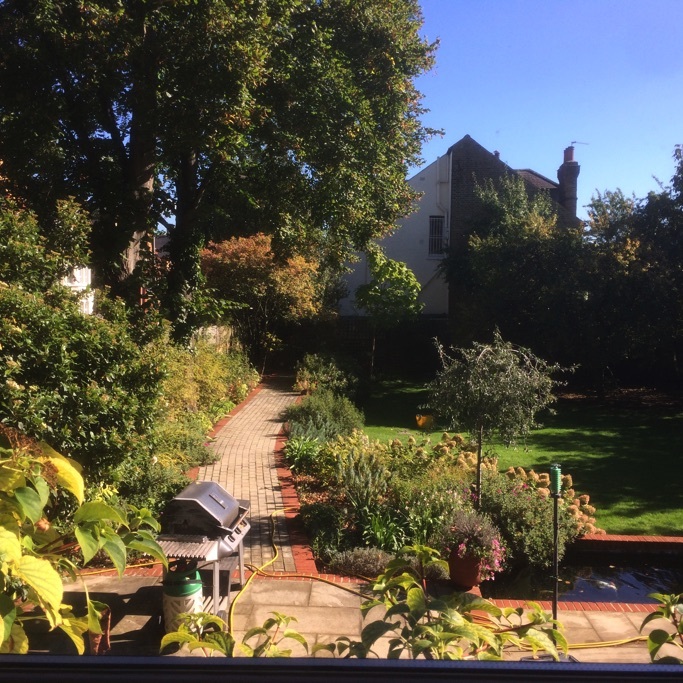 The rear garden had a high maintenance troublesome fish pond and austere hard landscaping. 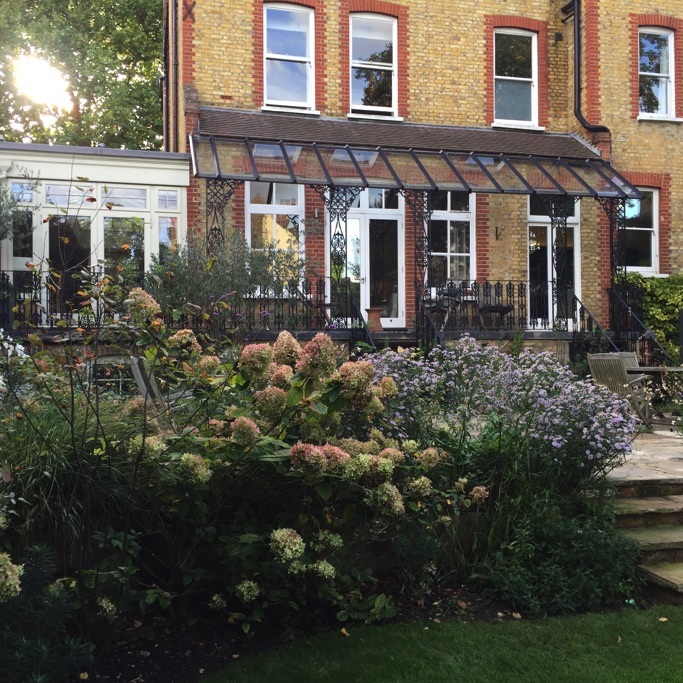 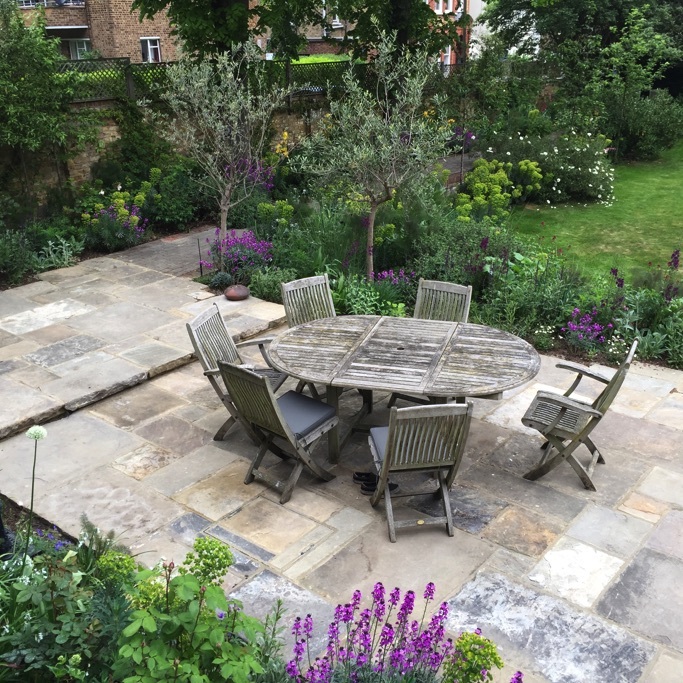 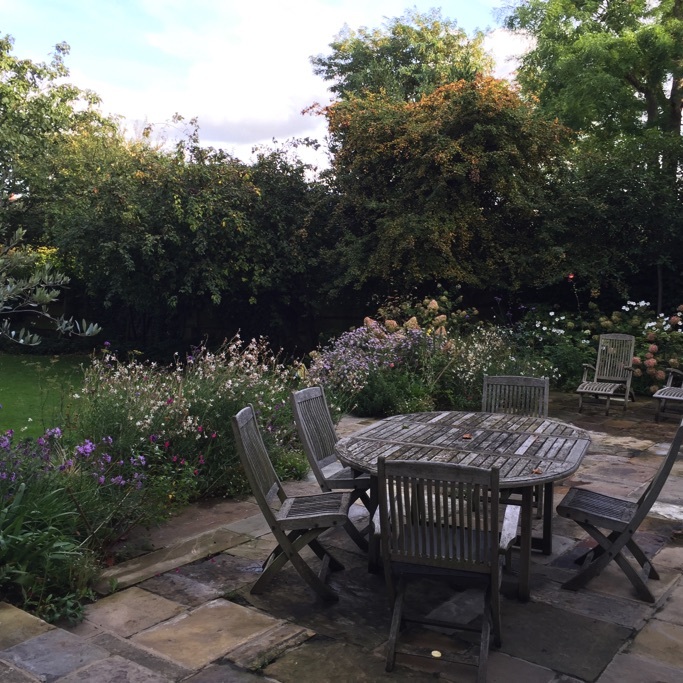 We replaced this with reclaimed York paving and flowerbeds to soften the terrace and create an atmospheric place to sit. 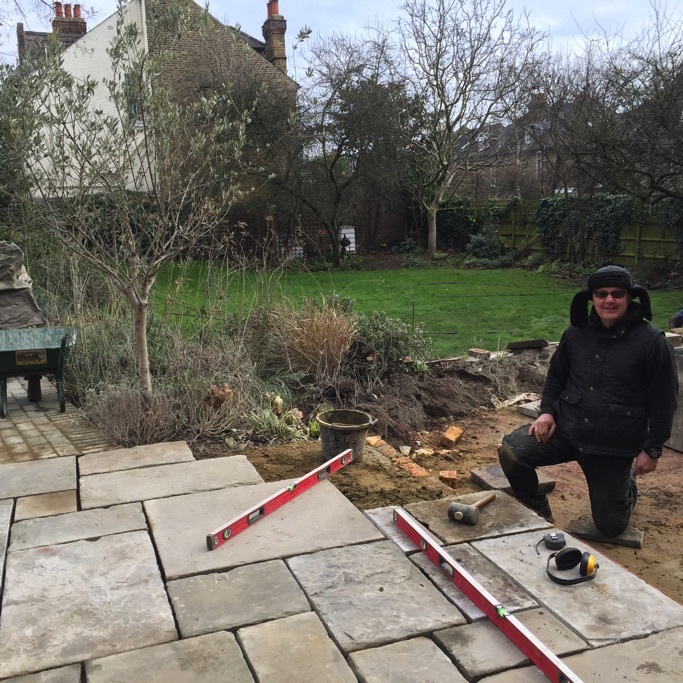 We visit every two weeks and are developing the areas further from the house over time. 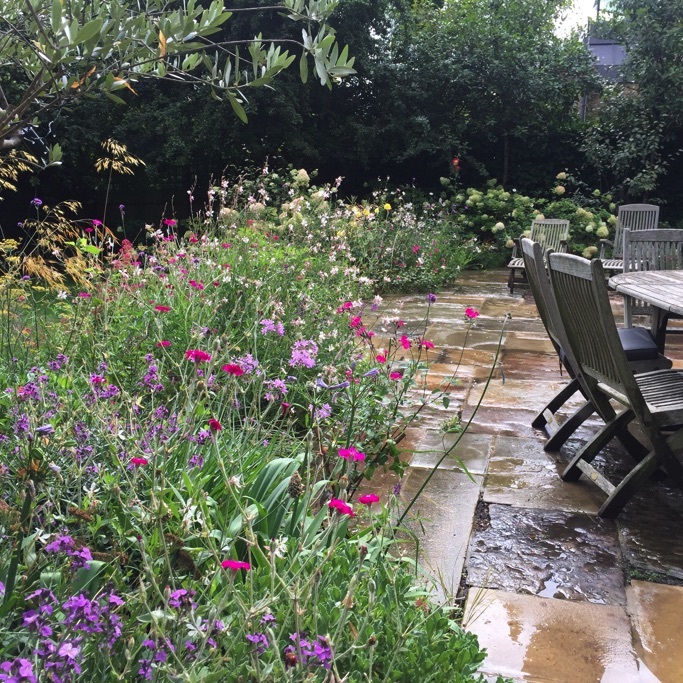 I would love to make the flowerbeds around the lawn bigger but sadly cricket rules supreme.